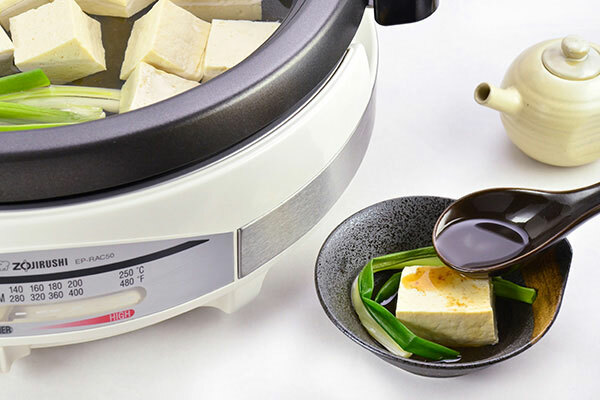 Yudofu is hot tofu pot with kombu broth. 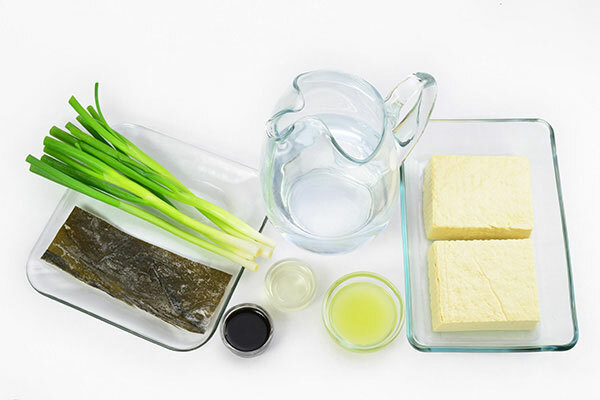 Kombu adds umami and supports the subtle sweetness of tofu. 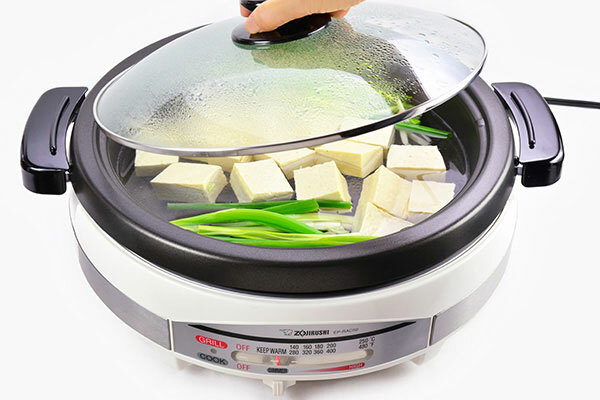 It is the winter delight for pure tofu lovers. In a small pot, place soy sauce, mirin and bring to boil. Remove from heat and add citrus juice. Set aside in a small pitcher or a sauce dispenser. 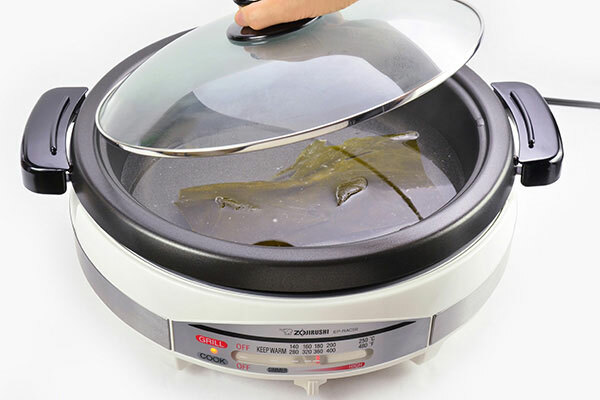 Place kombu and water in the Gourmet d’Expert® Electric Skillet and set temperature to 360°F/180°C. Cover with lid. 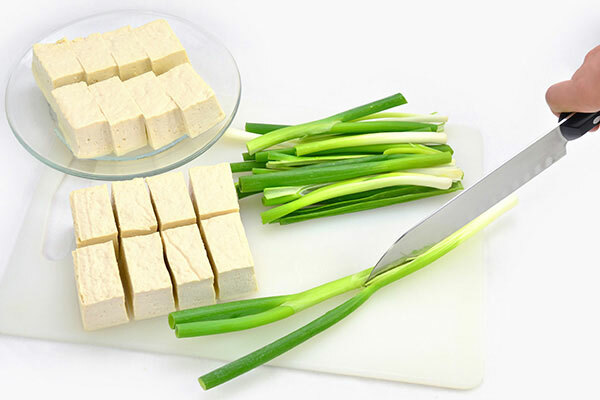 Cut each package of tofu in 1/8 blocks and cut green onions in half lengthwise then cut in half crosswise. Place tofu and green onion in the skillet. Cover with lid and reduce temperature to SIMMER. 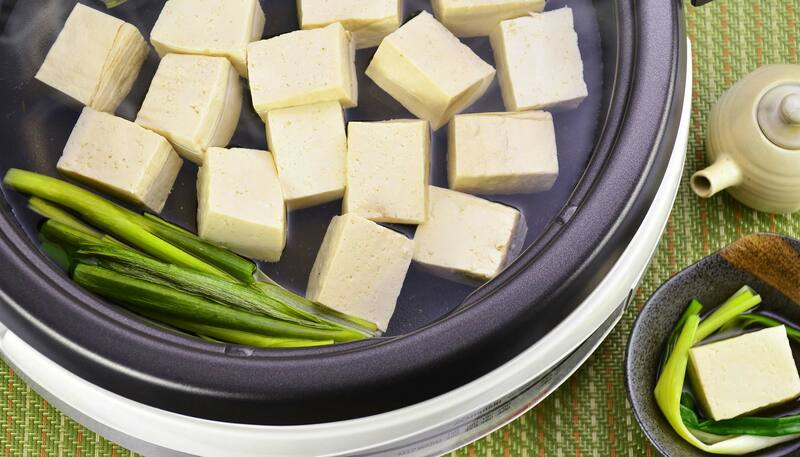 When tofu and green onion heat through - about 10 minutes, serve to individual bowls. 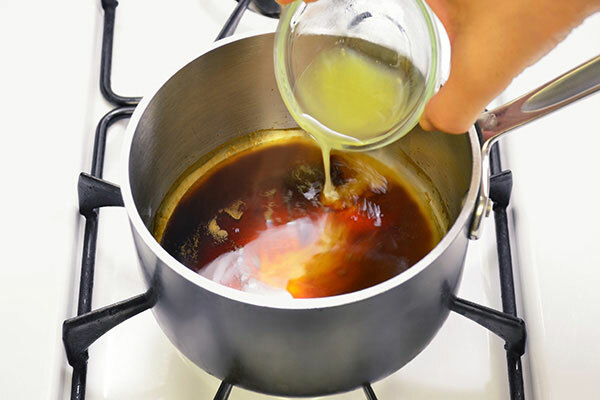 Add ponzu sauce from step 1 and adjust soup to preferred taste by adding the kombu broth from the skillet.